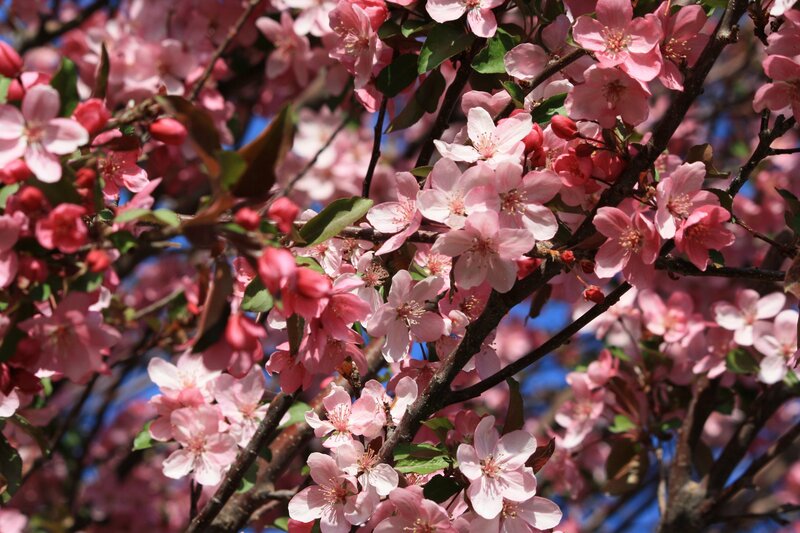 Free high resolution photo of pink crabapple blossoms. This picture shows tree branches absolutely covered with pink flowers and buds as this crabapple tree was in full bloom. There are small green leaves budding out and you can see bits of blue sky peeking through in the background. Crabapple trees are generally considered ornamental flowering trees. They bloom in the springtime with wonderful fragrant blossoms. Great background image for a web page or blog, desktop wallpaper or texture for Photoshop. Free picture for any use.